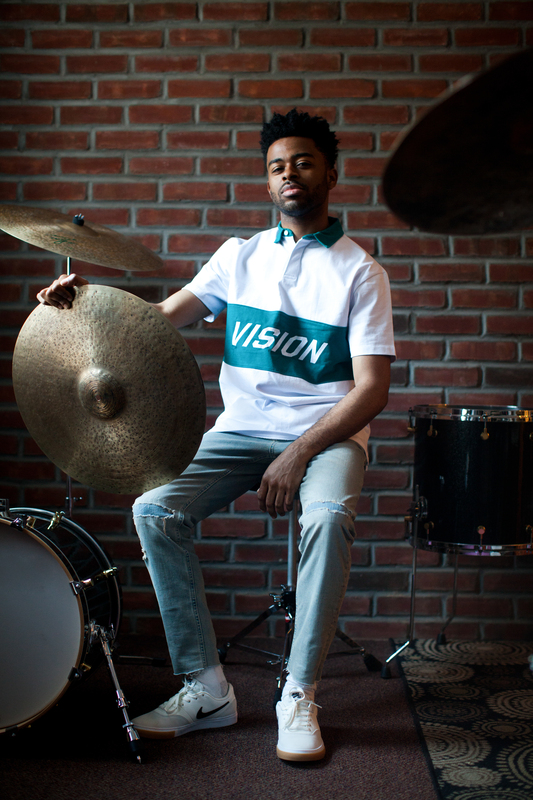 Drummer Jonathan Barber is quickly making a name for himself. Voted this year’s best “Up & Coming” drummer in the Modern Drummer Readers Poll, the young Barber is setting the bar high, but what do you expect from someone who’s already collaborated with Erykah Badu, Wallace Roney, Jeremy Pelt, Kenny Barron, Terrace Martin, Stefon Harris, and Marcus Strickland just to name a few. Hoping to live up to the hype, Barber is releasing his debut as a leader, Vision Ahead, on this very day. Joining Barber on the album are pianist Taber Gable, guitarist Andrew Renfroe, saxophonist Godwin Louis, bassist Matt Dwonszyk, and vocalists Denise Renee and Sasha Foster. Vision Ahead amounts to a very mature first step for Barber. His sound his novel and refreshing. His ideas are contemporary and cohesive. It is rooted in tradition and technique yet striving to push barriers and break down walls. If all else, it looks like Barber has a bright future ahead. Stream “Crown”, the lead single off Jonathan Barber’s debut album, Vision Ahead, below.